Nothing beats a relaxing day in summer. Taking it easy, enjoying a Bar-B-Q, sipping wine, sun bathing and spending time with your family. 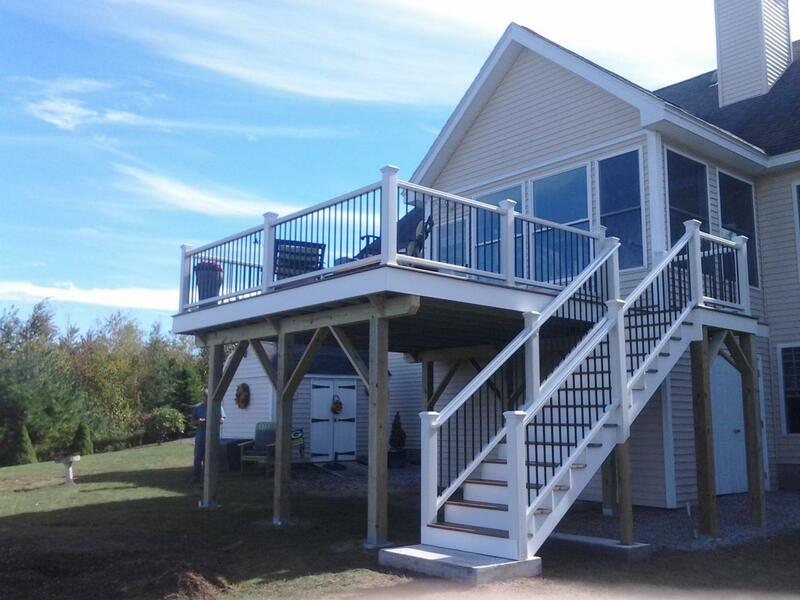 A deck is an extension of your home, and where most people entertain and spend time with their loved ones in the warm months. 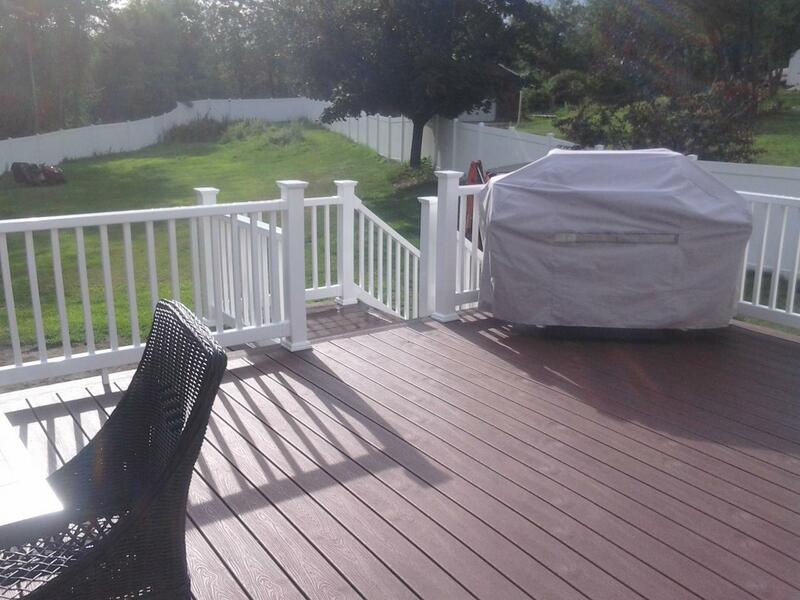 Having an outdoor space is priceless. 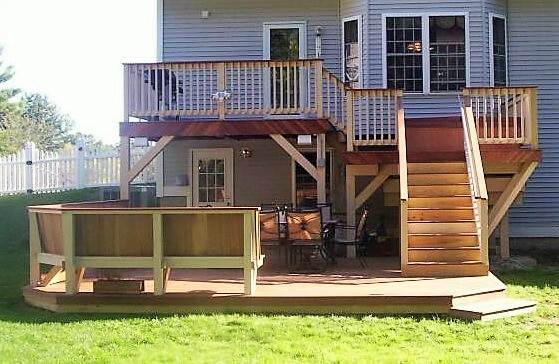 Just think of all the things you can do with more outdoor space. A home for the grill, a toybox for the kids, a table for eating your freshly grilled food...the possibilities are endless! 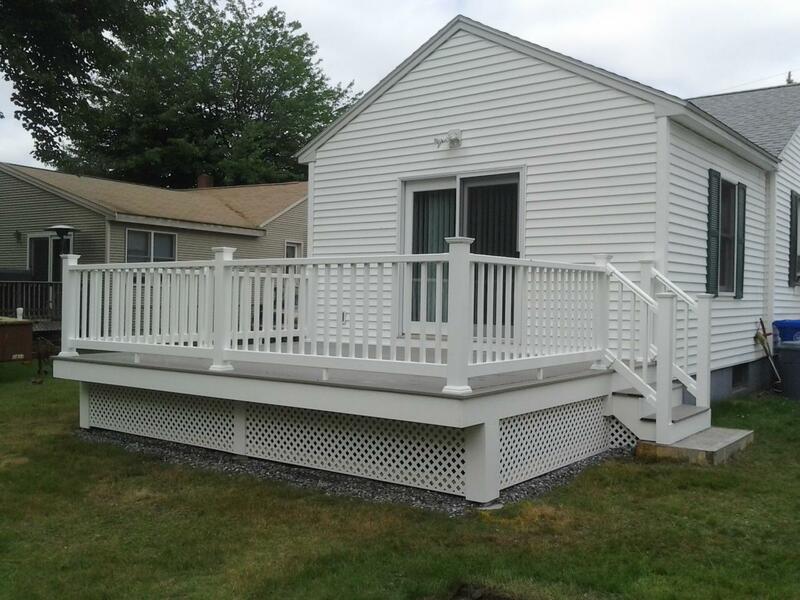 Do you want outdoor space that matches your indoor tastes? 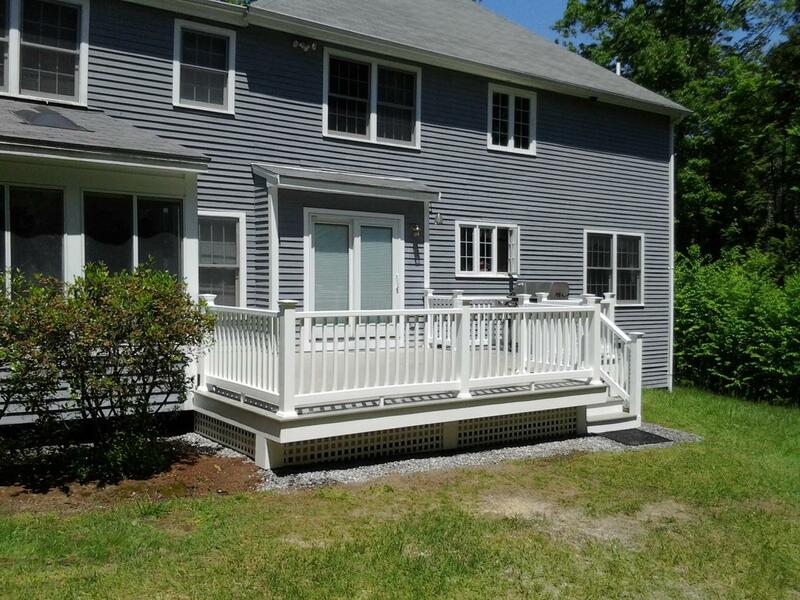 Do you want to be able to have guests over without having to stand in water soaked grass, or in an anthill? Do you have views that you can only see from inside? We can fix all that. 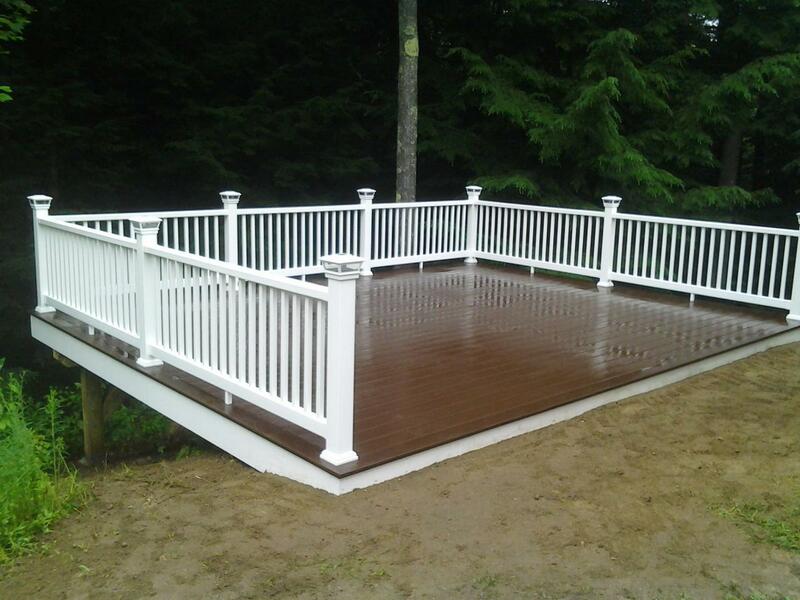 We offer many different types of decks for every budget. 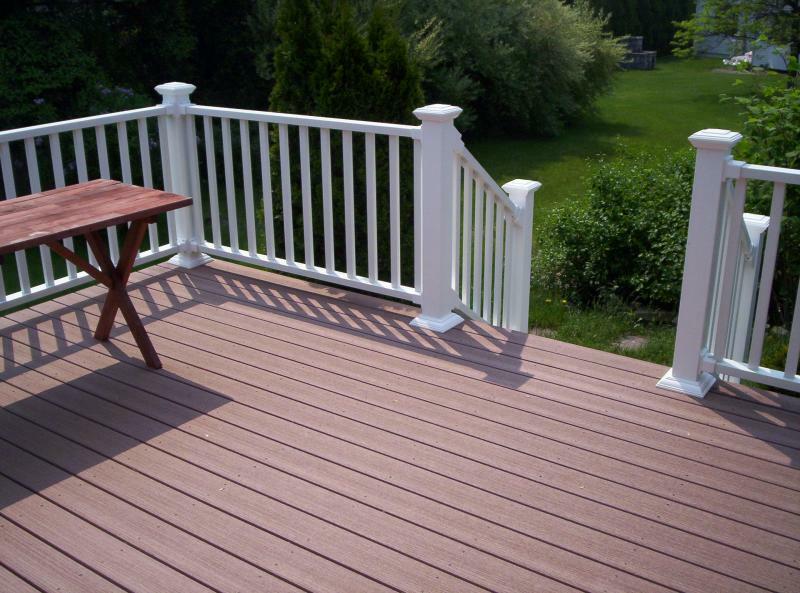 You can choose an economy pressure treated deck, mahogany deck, specialty wood deck or a composite deck. 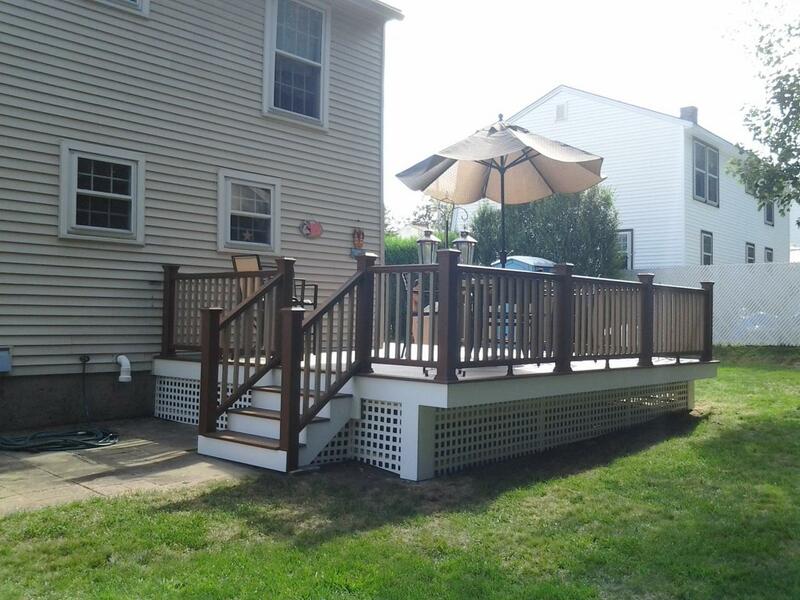 Whatever deck fits your needs. 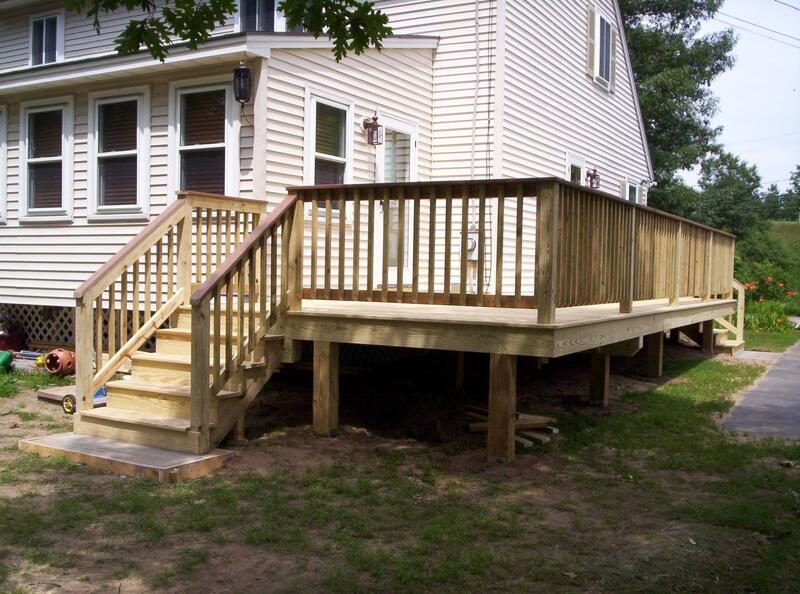 There are many companies that profess to know how to build a deck. 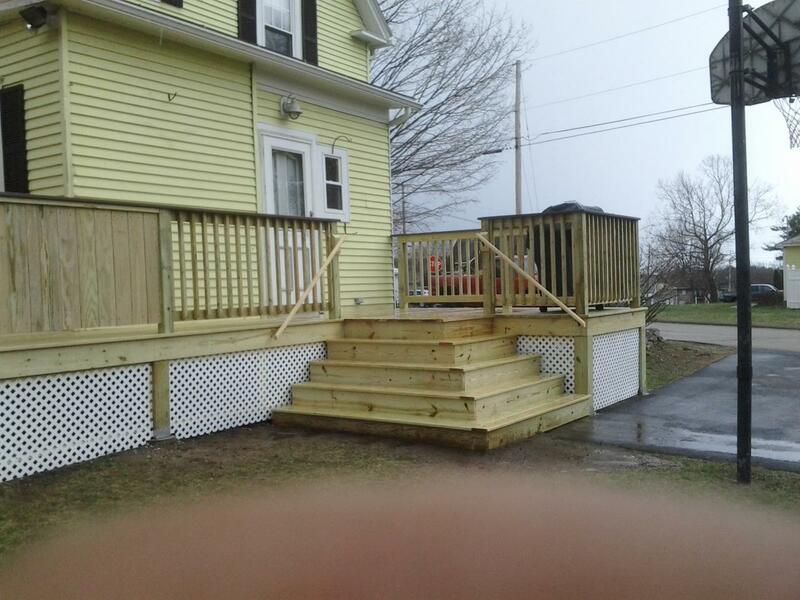 I have heard many people say "Anyone can build a deck." I suppose anyone can, but whether they do it well or not is another question. How will you know who is going to give you the best product? 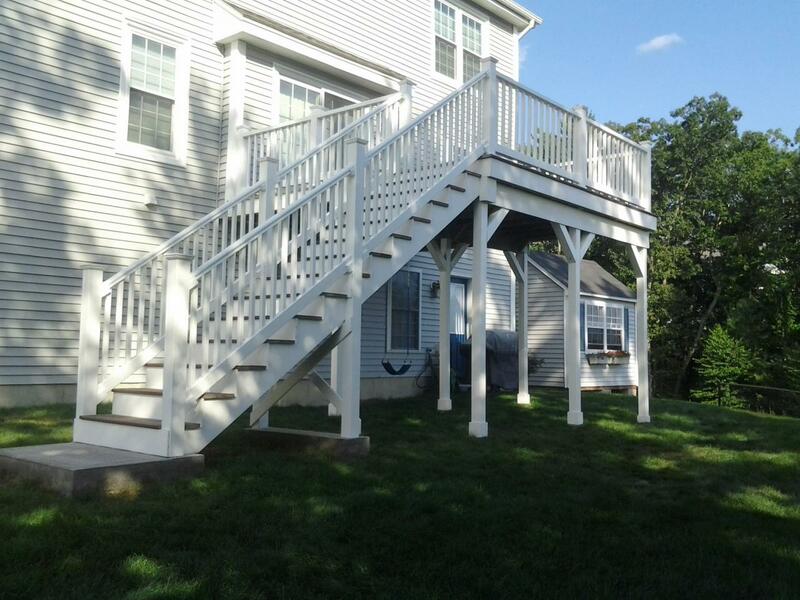 Here are some tips to find out whether a contractor is giving you a quality product or barely the minimum or less. 1) Always pull a permit if need be. 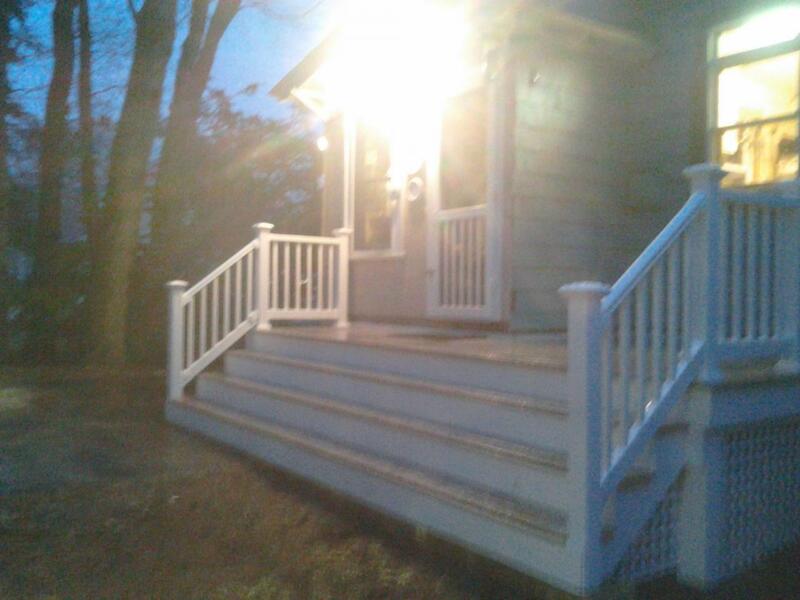 In most cases, you do not need a permit for a reface, but it is required for new construction. The permit ensures that a building inspector is inspecting the work completed. Further protecting your interests. 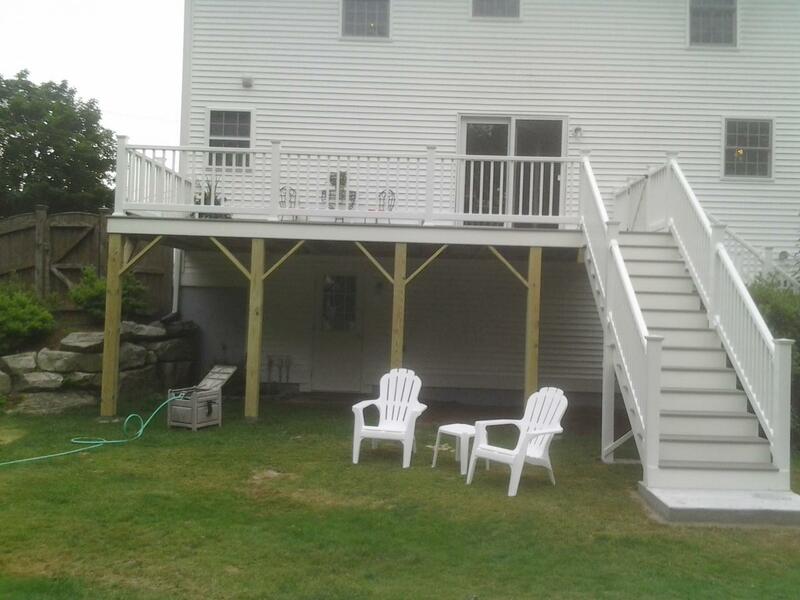 Also, if the deck were to be unstable and collapse, insurance sometimes would not cover the damage or injury. I have seen some long spans and candelievers recently. This tells me that permits were not pulled, (or if pulled, were not inspected) as that would not pass code. So make sure the inspections from the building department are happening as well. #2 Quality of materials used. The following are the materials that SHOULD be used. If you do not see these specific items in your contract, you should ask more questions. a) #1 building materials. 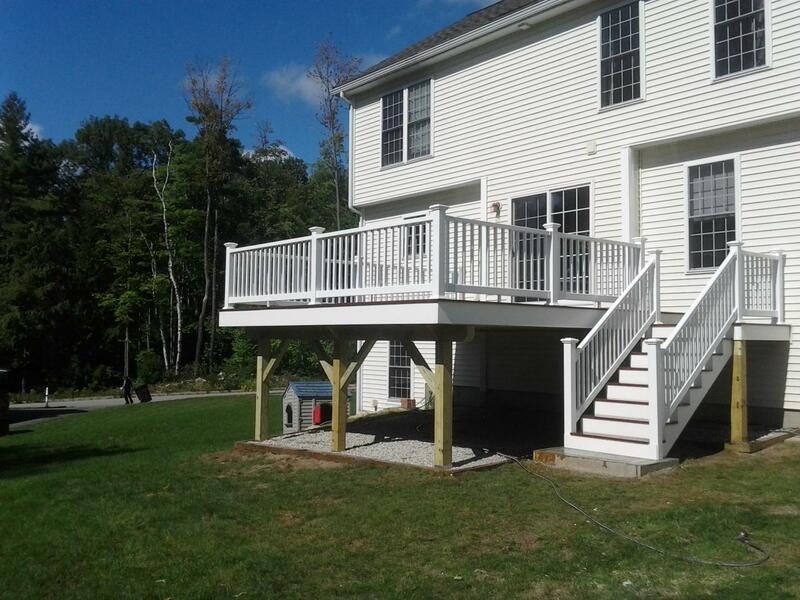 We use Mast Road Lumber. They supply #1 pressure treated material, only 6X6 pressure treated is sold as #2 but is smooth. Why is this important? #2 has more knots which weakens the integrity of the material. 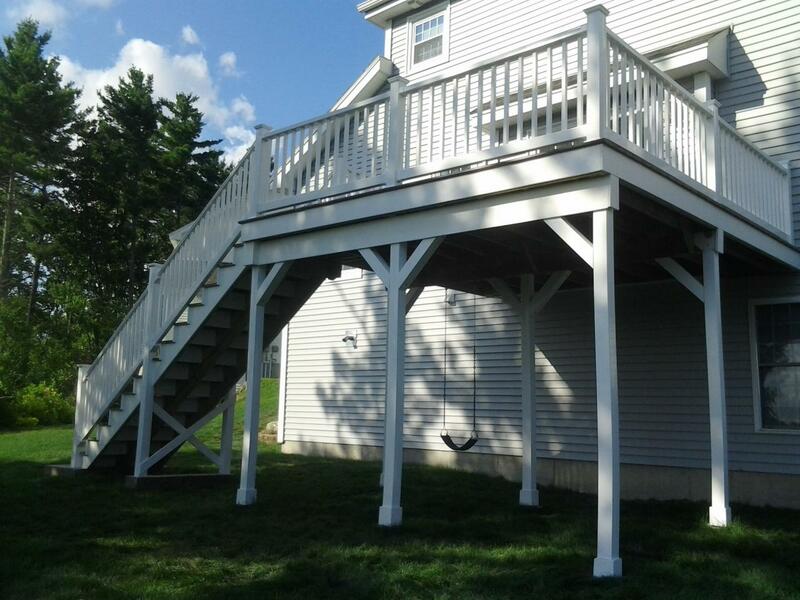 It costs a little more, but you do not have to worry that your floor joists are going to weaken and break over time. 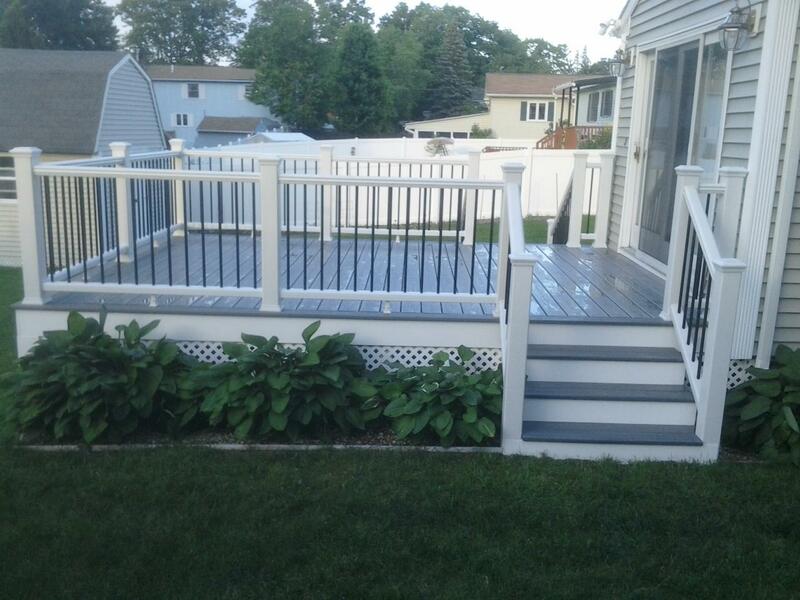 b) What kind of maintenance free decking? There are many kinds of varying strength and durability. 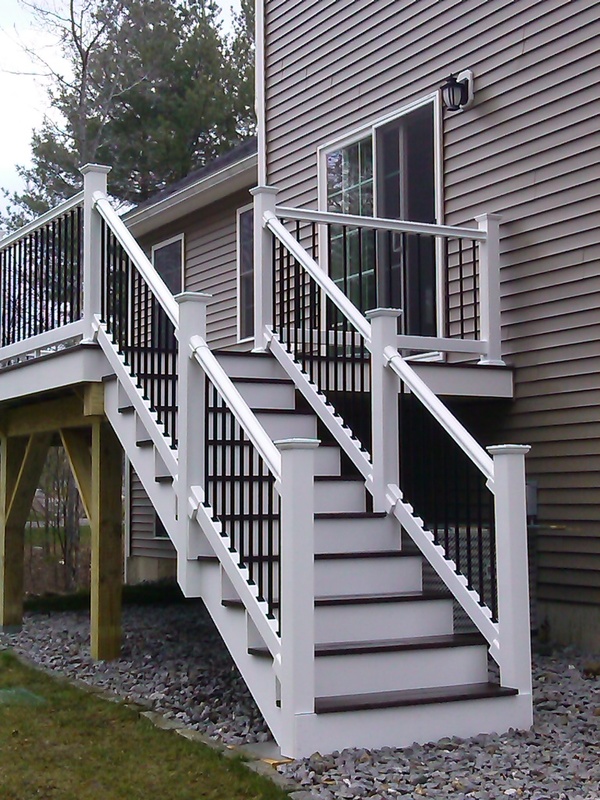 For instance, we offer Trex Transcends which is 5/4"X6". 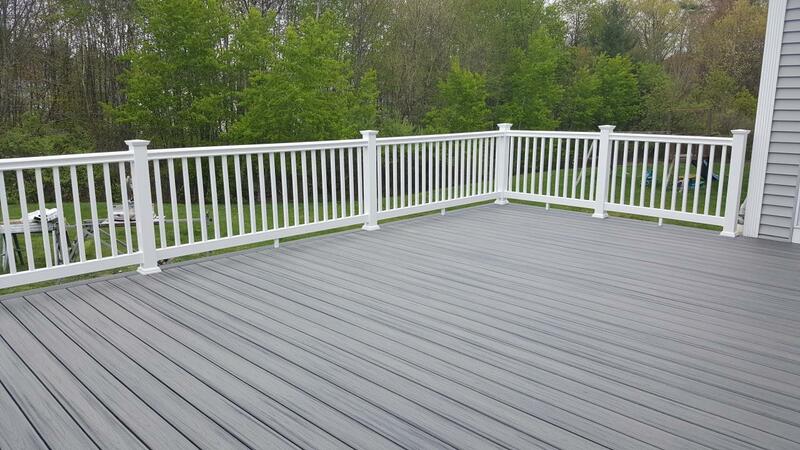 Some maintenance free decking can be as thin as 3/4". 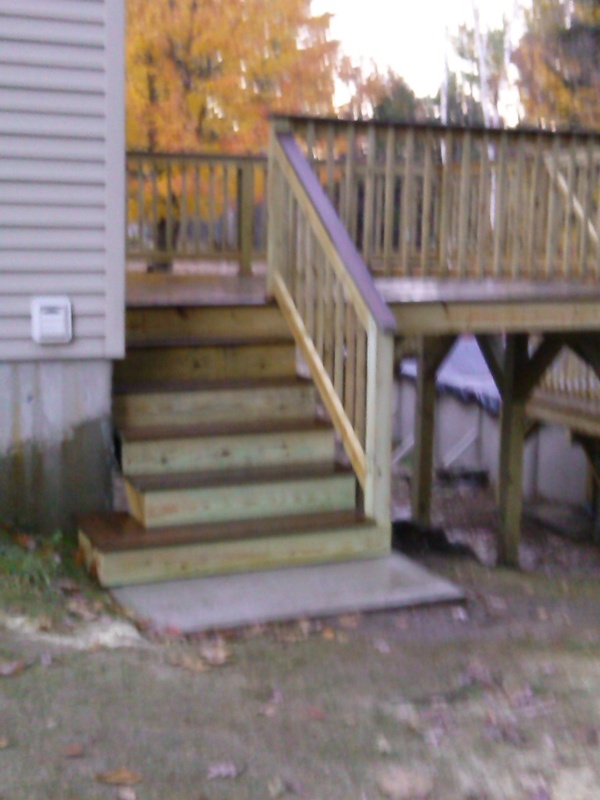 It does not seem like much, but it shows in how it lays on the deck. After time, 3/4" will bow between the joists. Maintenance free also can come hollow, so be sure what you are getting. c) What are the beams made of? 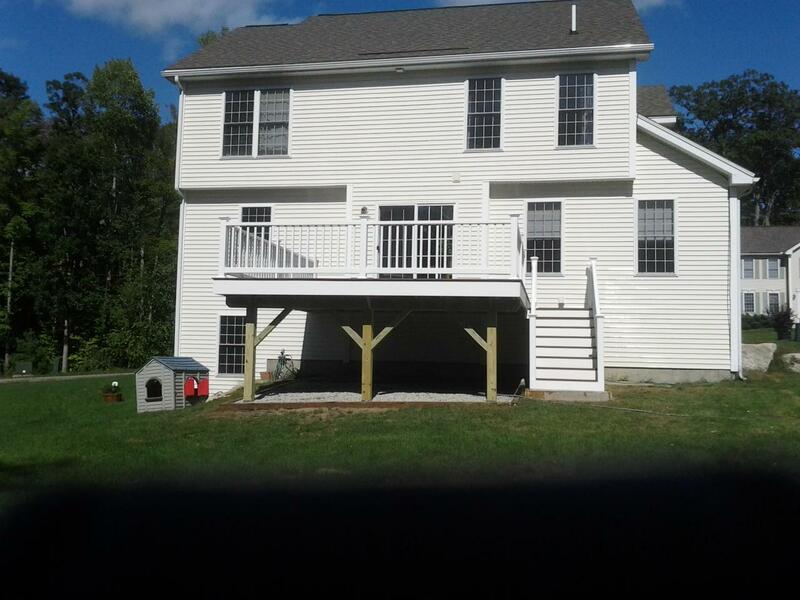 Is it a 2 piece 2X8 beam or 3 piece? 2 piece generally means they will be using 4X4 supports. 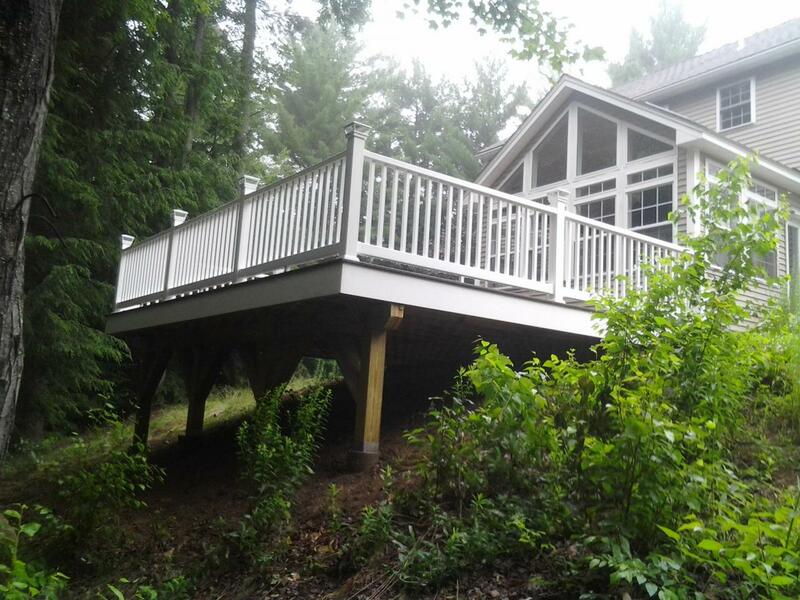 We always use a 3 piece beam with 6X6 supports. 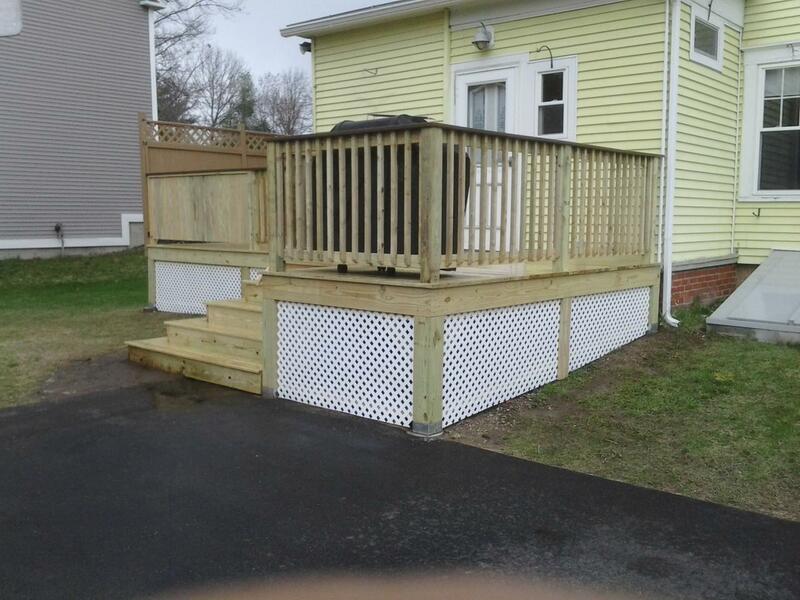 It will hold more weight, as there is a lot of weight with the joists and decking. 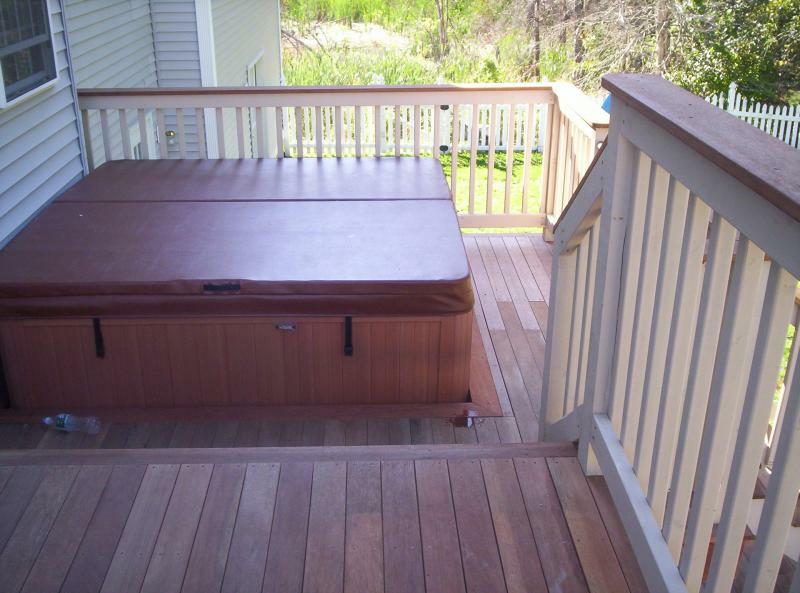 It also has much less tendency to bow, leaving your deck unlevel and unsafe. 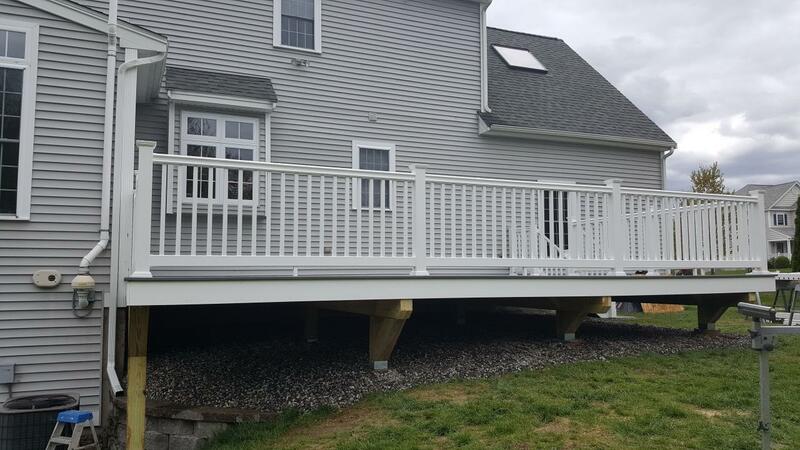 If their pictures show the 2X8 on the outside of the posts, you would be relying on the structural integrity of the bolts used instead of the weight transfer from the deck to the beam setting on top of the 6X6. 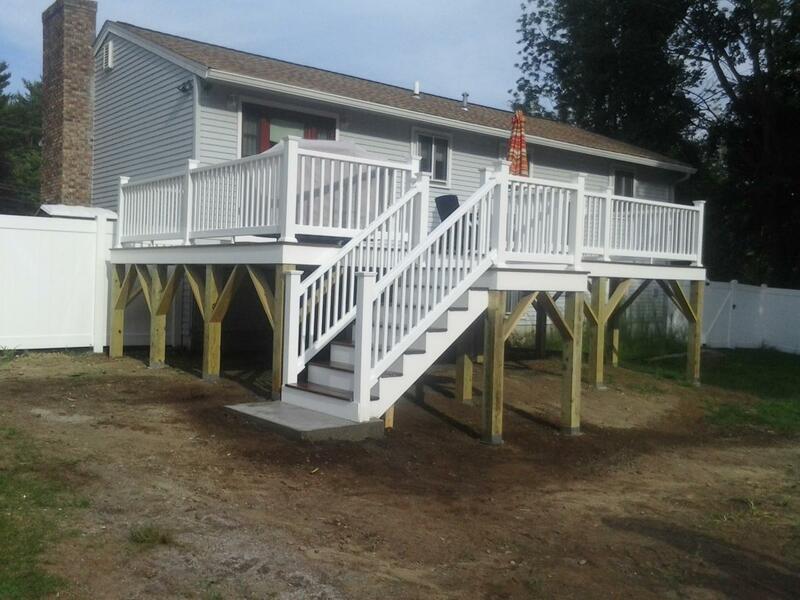 The posts (4X4) is holding the whole weight of the deck. It is always better to disperse the weight through the beam, like the headers in your home. d)If you see lumber tags on the ends in their pictures, this shows a couple of things. 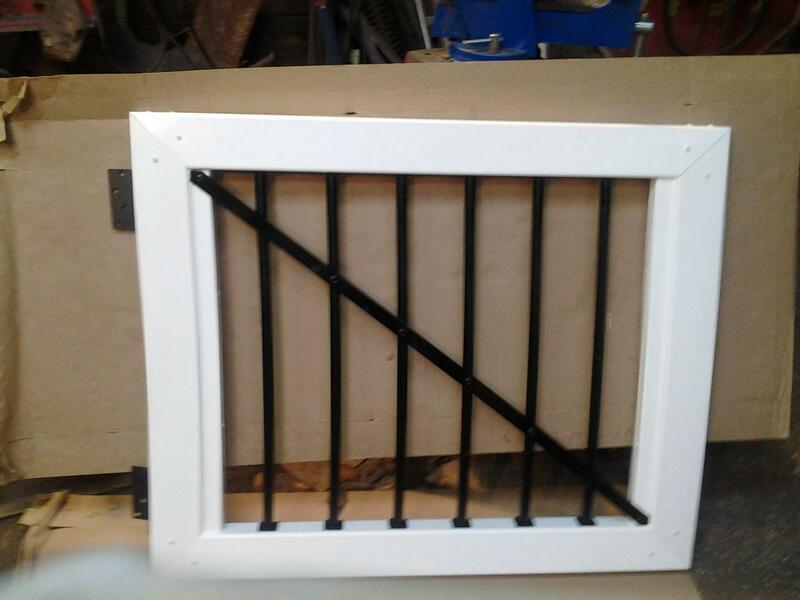 Carelessness in the finished product and that they did not square off the edges of the pressure treated. It is near impossible to find a square piece of pressure treated lumber. This shows a lack of integrity and care. 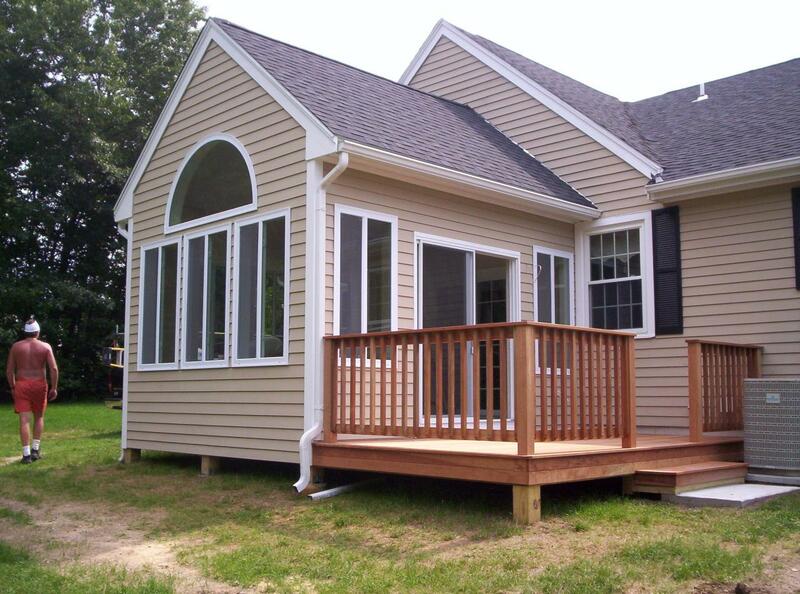 Is this the kind of contractor you would like working on your home? e) Are there bases and caps? Bases dress up the product. There are many caps that can be used Some are very cheap and bland. We only use decorative caps AND bases. 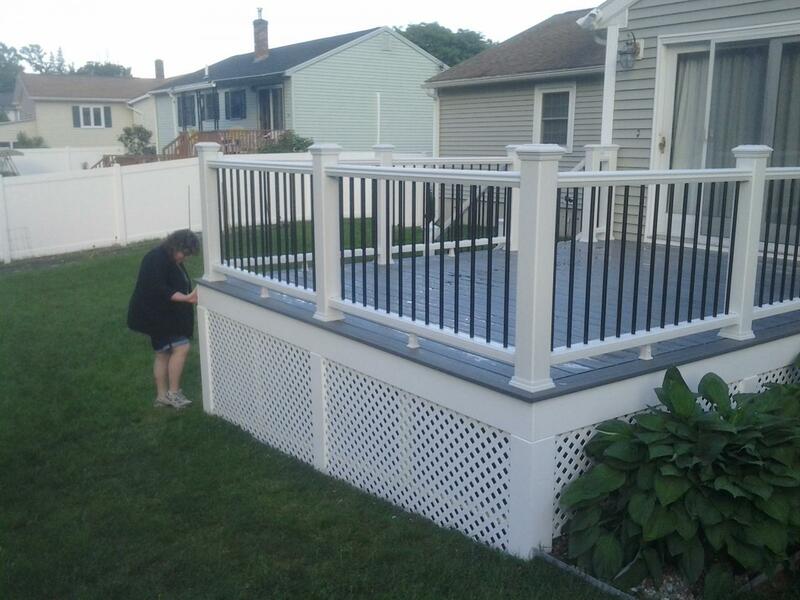 f) What are your railings made of? 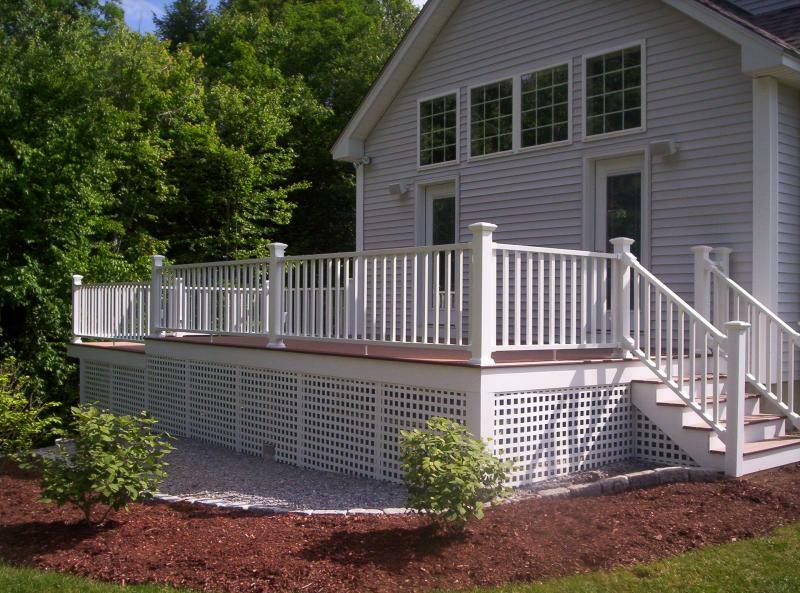 Vinyl railings are not only flimsy, but very flexible in a lot of cases. Children have gotten their heads stuck between the ballusters because they bow so much. 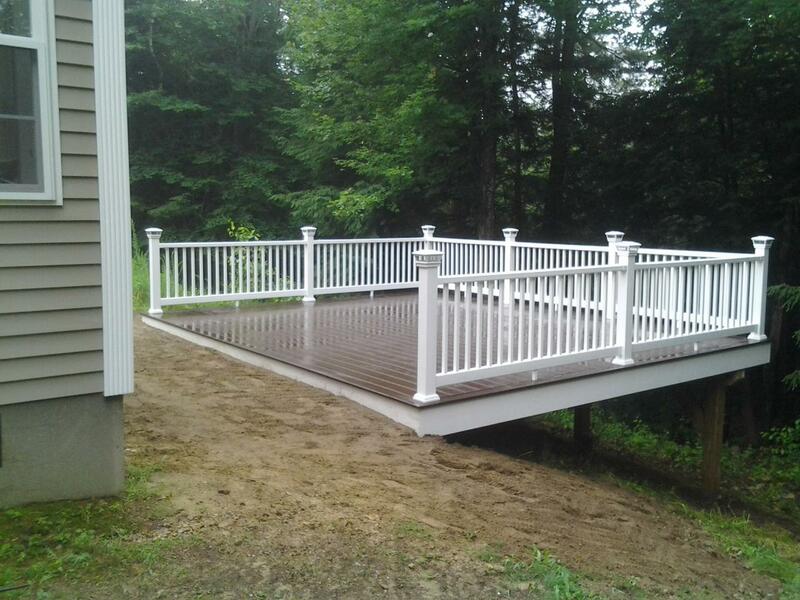 We use a composite that is much more rigid. g) What are they finishing with? 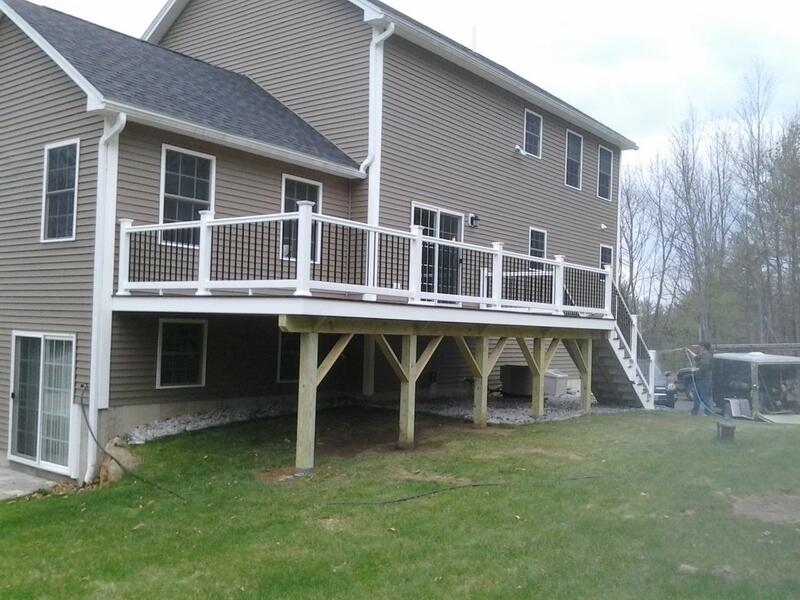 Is there Azek around the rim joists or are you leaving pressure treated? 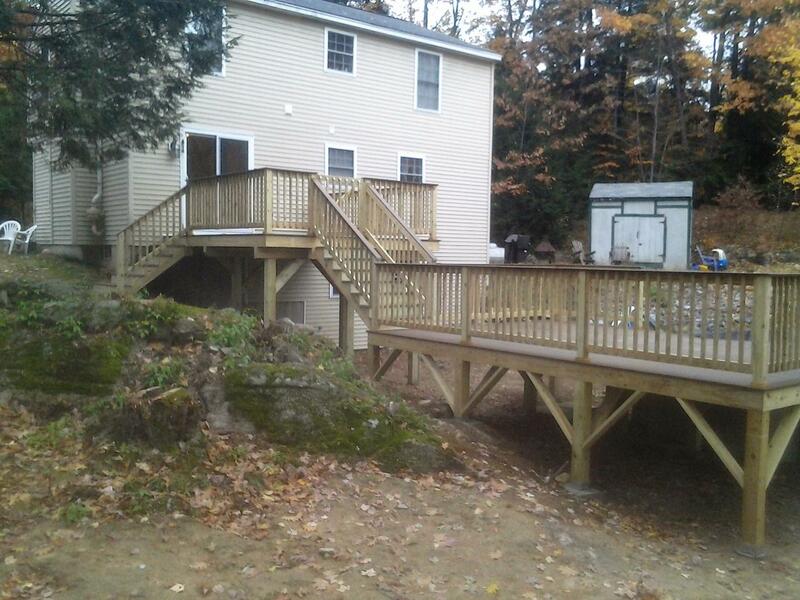 #3 New Hampshire State law requires all contractors to warranty their work for 1 year. A lot of contractors will advertise a 1 year warranty as an enticement. This is standard practice and is REQUIRED. Usually, any problems that may arise will be seen in that one year. Always have an e-mail trail of the complaints that you have. 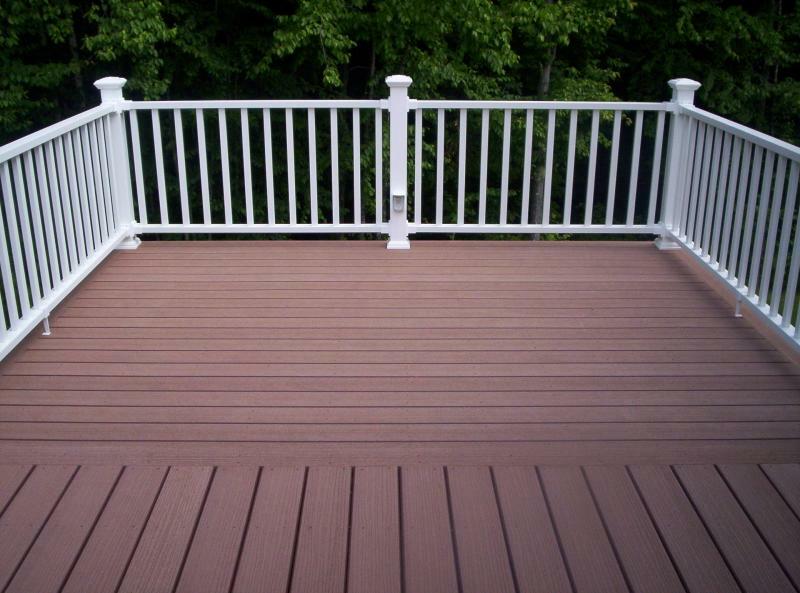 Decks are not totally maintenance free, regardless of the material used. The amount and kind of care varies. There are also some things most people don't know about their deck. 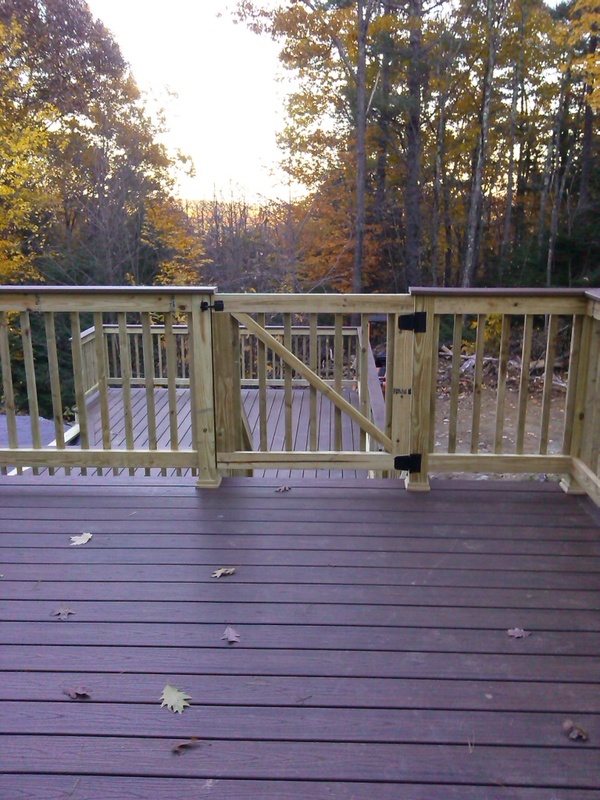 We all want our pets to be safe, however, some pet friendly ice melt will actually eat away at all the galvanized joist hangers, flashing, lag bolts and nails required to build your deck. 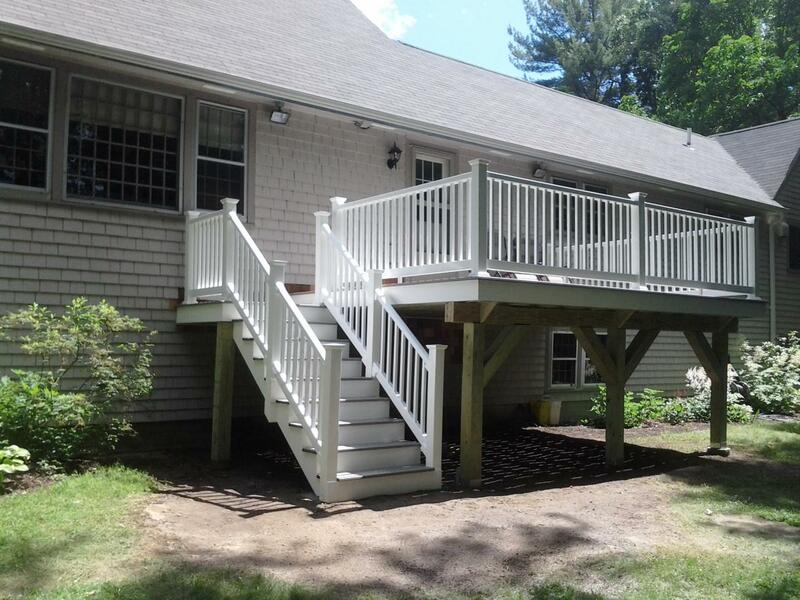 This takes only a few years to make your deck unsafe and, in some cases, ready to collapse. 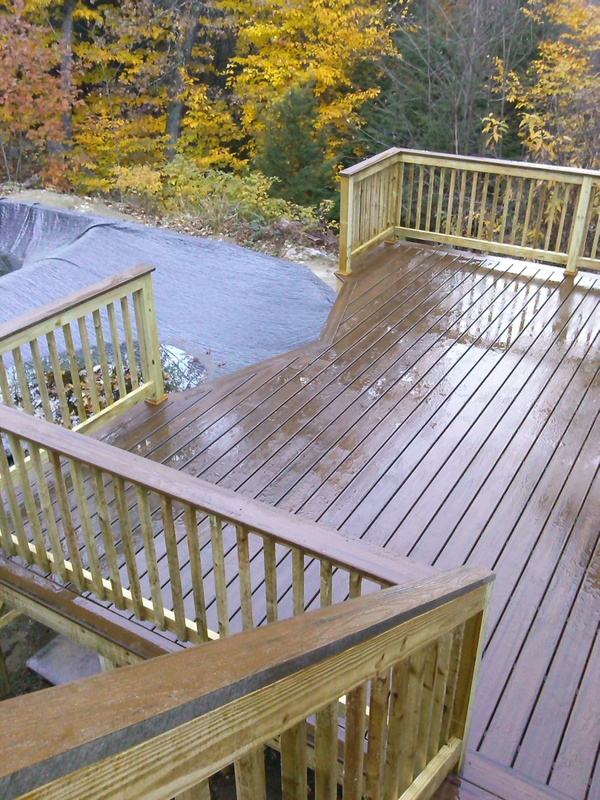 Pressure washing your deck (at the right setting as not to scratch the surface) at least twice a year will keep stains from setting in and keep the surface clean and free from debris. We have all spilled something on our deck or had birds leave "presents". Immediate care (hose cleaning usually works) of these areas will prevent any lasting damage. The longer the stain gets to "bake" in the sun, the more likely the stain will be permanent. 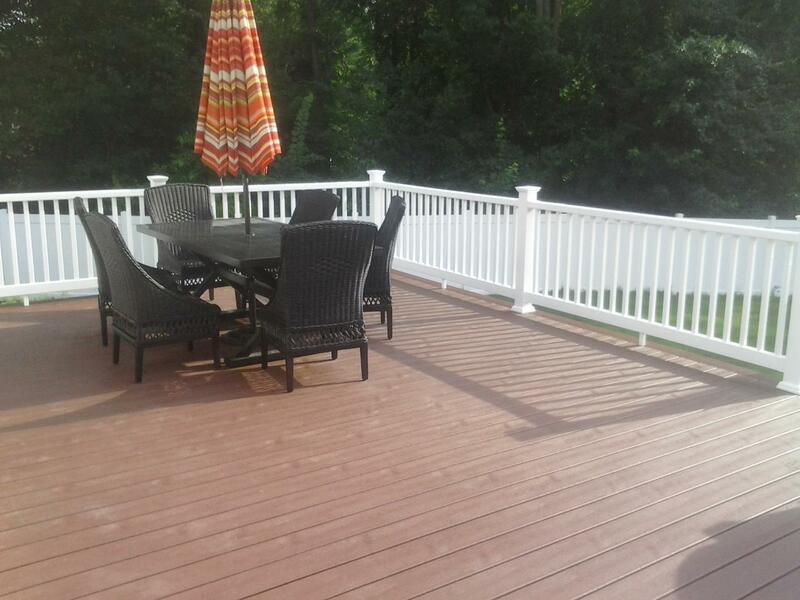 There are also chemicals in these stains that can interact with the decking and railing materials and leave permanent marks if not treated quickly. 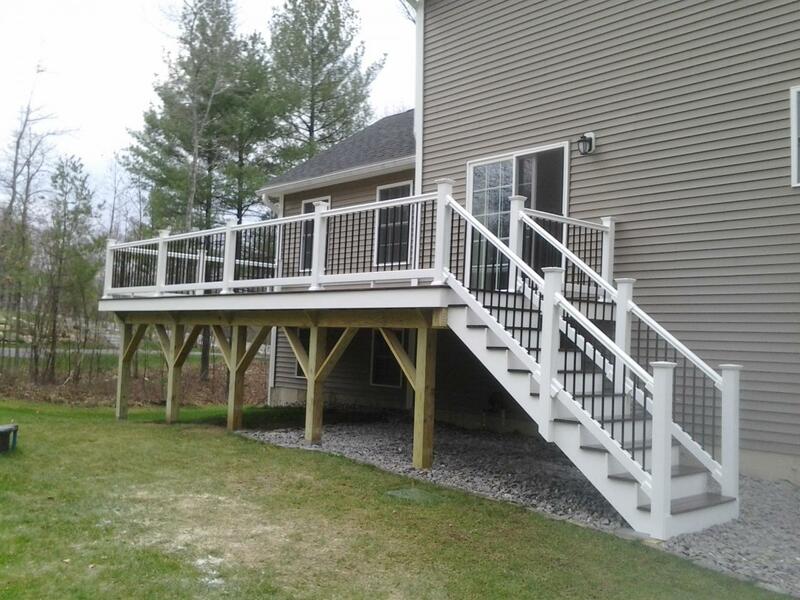 Can't afford a maintenance free deck? 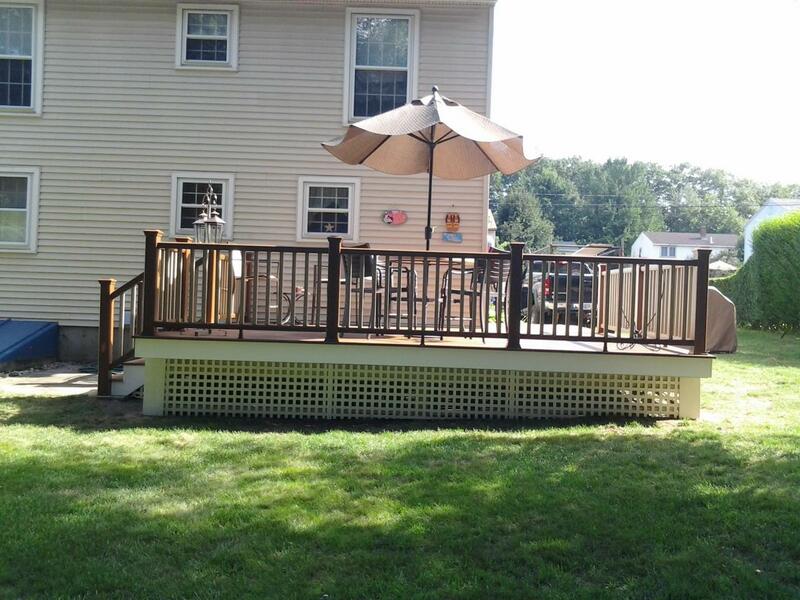 Add a maintenance free top rail to a pressure treated deck- no splinters! 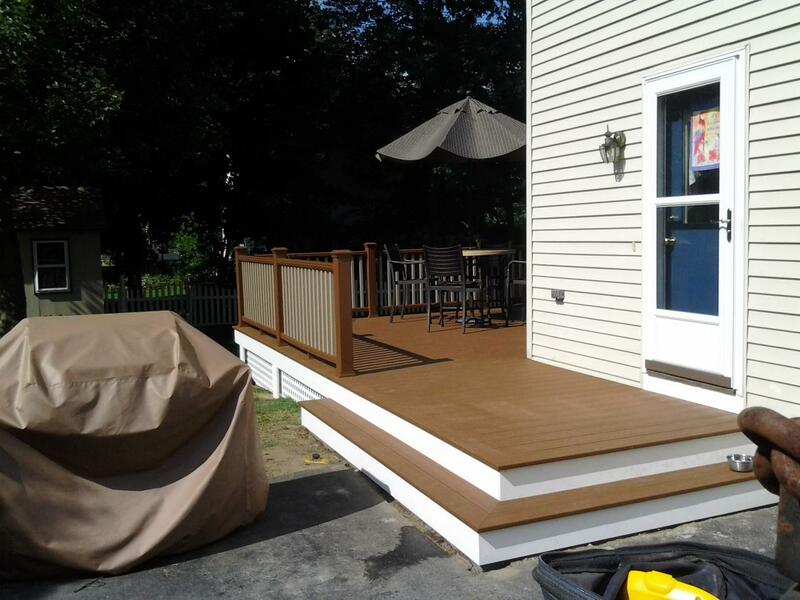 Have a pressure treated deck and want to upgrade to maintenance free? Get a reface! 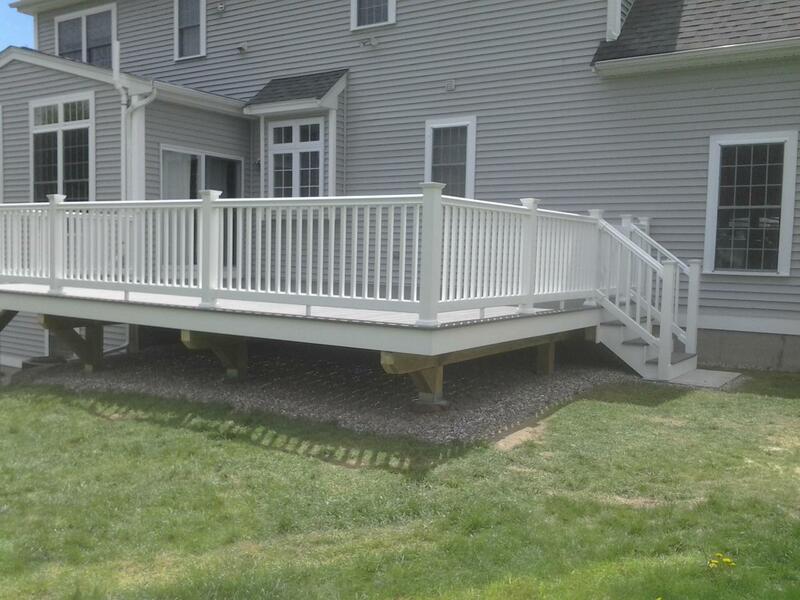 As long as the structure of the deck is sound, you can remove railings and decking and simply replace them. This is very cost effective! 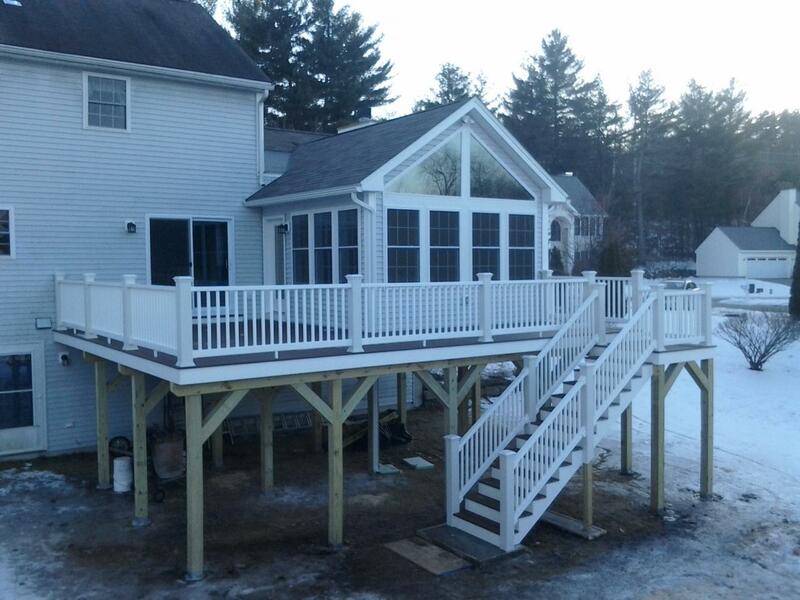 Always remove snow from the deck, especially the part that touches the house. Although your contractor should have put ice and water shield and flashing, ice will always find a way to travel especially if left to accumulate. 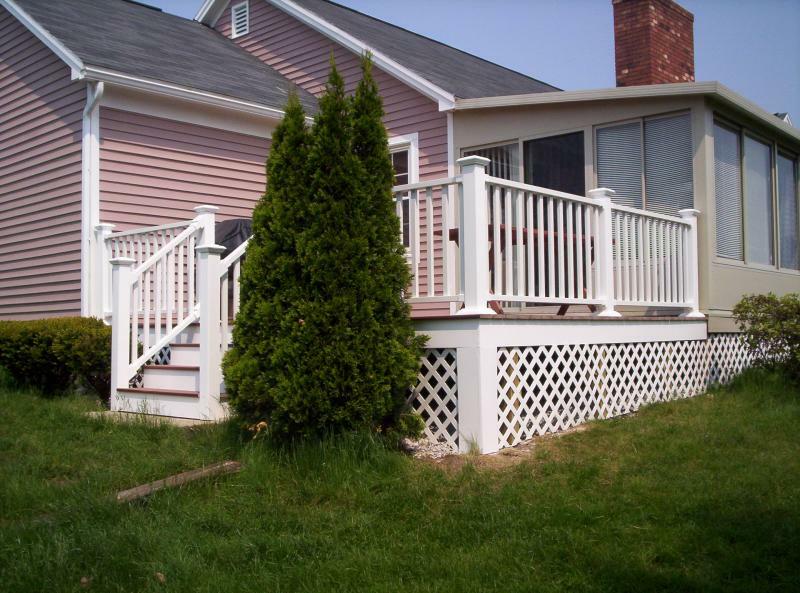 Protect your home and your deck by making sure this area is always clear of snow and ice. We hope this has been helpful to you! 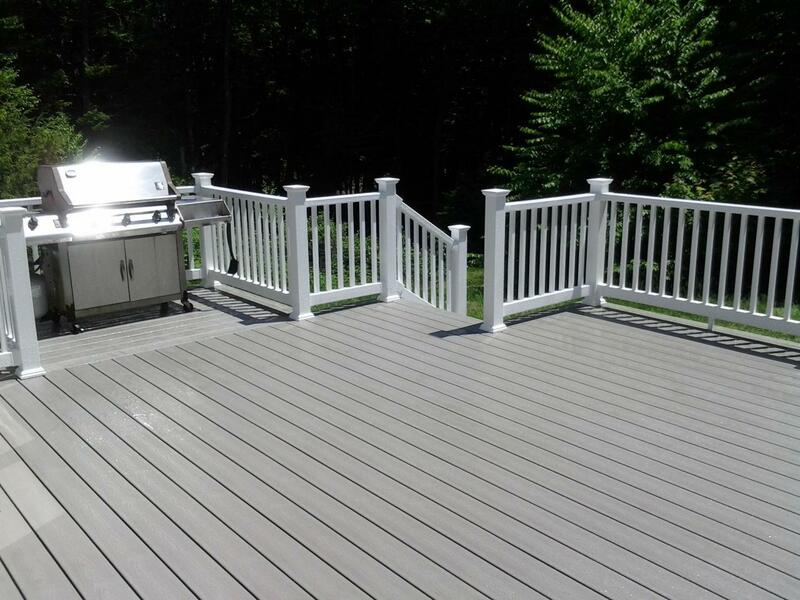 If you would like a free quote for a new or refaced deck, simply fill out this form and we can set up a time to go over your project with you! We have built our reputation on trust. JWS never sells, dissiminates or shares your personal information with anyone, at any time, for any reason!